Encourage closed banding and record keeping for hook bills, cockatiels, and other cage birds. Improve communication and cooperation between breeders, pet owners, suppliers, retailers, and the public. Support other aviculture programs and activities. Educate and share knowledge among all members. Keep members and the public informed on laws and regulations pertaining to the breeding, owning, and selling of cage birds. 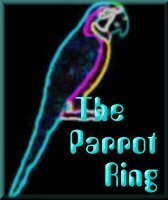 The club as organized shall accomplish its purpose by supporting education and publishing media relating to the keeping, breeding, care, housing, nutrition and ailments of cage birds and sponsoring fairs, exhibits, and cage bird shows. Bay Area Cage Bird Club. This Avian Enthusiasts site is owned by Bay Area Cage Bird Club.